I was thinking, uh-oh, did I write an unfavorable review of someone’s candy and this is a warning? Have I angered anyone lately? Does someone in my home have a weapon that they haven’t mentioned? As it happened, it was just that time of the year when A Christmas Story was about to be aired on every channel. Thinking about my Christmas wishlist reminded me of Ralphie and his coveted BB gun. So, I breathed a sigh of relief when I read the business card at the bottom of the box and learned that they were just silver, non-nefarious jawbreakers! These aren’t your ordinary, run-of-the-mill jawbreakers, though. They are delightful, shiny jawbreakers – everyone knows shiny makes everything exponentially more appealing! If you run across them, I highly recommend grabbing some. Just make sure you have enough to share because you will end up sharing them! And, if cola isn’t your thing, I’m sure they could be repurposed in any number of ways. Perhaps, impromptu marbles, decorations on a birthday cake at the local NRA meetup, as parakeet toys, or of course, ammo for a slingshot, etc. For these reasons and their tastiness, I give them 5 Bonbons! Gummy Coke bottles have always been a favorite of mine. I may have to find these and try them to see what they taste like. 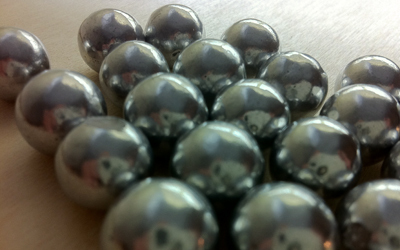 I just got these silver rolla-cola balls in, ready to sell! They are like Refreshers (foil tube type), cola flavour chalky centre, hope to sell more than I eat…. HELP! I want these sooooo bad but cant find them anywhere! Not even online. If you know a website or some place that sells them, please let me know asap! In in Australia and am looking to get some of these silver rola cola balls but cannot seem to find anywhere here that sells them. I found one place that sells them online but wanted a stupid amount to send me some. Anyone have a online store that will sell n ships overseas. Or even better somewhere in Australia that sells them. I used to eat these as a kid but the seems to have left England how can I get some without having to ship them from Canada or New Zealand?